The 10 Best Taco Places in Iowa! Whatever time of day it is, tacos are a surefire bet that you’ll enjoy your meal. And in Iowa, they’ve perfected the art of quality taco-making. Whether you’re a hard shell or soft shell kind of person, whether you consider yourself a vegetarian or an all-out tacoterian, there is something in Iowa for you. To get your taco taste buds excited, a good place to start is any of these 10 best taco places in Iowa. Fresh and delicious, there is just something about the hot tacos served at Tasty Tacos that will have you coming back for more. Located throughout the Des Moines metro in six different locations, Tasty Tacos has grown up alongside the Des Moines community and this classic taco spot doesn’t look like it’s going anywhere soon. Every menu item and all the ingredients are made fresh, and while there are many entrees to choose from, no Tasty Taco visit would be complete without leaving with a signature taco or two. For an authentic taco night in Ottumwa, the state-famous Mimi’s Taqueria and Bakery serves them up fresh, hot and made to order. There is good reason why Ottumwa community members and beyond flock to the doors of this small taqueria, and it’s not just the quality service you can expect to find inside. Featuring classic items like street tacos, burritos and quesadillas, the bakery side of Mimi’s also provides fresh favorites like pan Dulce to go alongside or take home with you upon your next visit to this classic taco spot. While La Juanita in Sioux City might look like another average restaurant on the streets of Sioux City, rest assured, once you step inside and take a bite of one of their tacos or many Mexico authentic fares, you’ll taste for yourself what brings La Juanita to the top of the charts. While the tacos are great, and you can’t go wrong with any specialty flavor you choose, it’s the burritos and other authentic entrees that also give La Juanita its fame. Featuring classic tacos and unique inspirations like fried potato or fajita filled tacos, La Regia, located on Highway 1 in Iowa City, has quite the selection to fulfill your taco appetite. While every visit to La Regia should involve ordering off the taco menu, be sure to complement your stay with any number of La Regia’s other tantalizing entree options including burritos, tortas and nachos supreme. With just one visit, you’ll soon see why La Regia could be your next favorite taco spot in the state of Iowa. For a unique taco experience on the streets of the East Village in Des Moines, Tacopocalypse has you covered. Featuring a wide variety of street tacos such as lemongrass pork, bacon chorizo and Korean chicken, it’s worth also mentioning the different items on the menu including the house-creation burritos and masa fries. Check out Tacopocalypse on Sundays between 11 a.m. and 3 p.m. for the Brunchpocalypse, featuring the best of everything the restaurant has to offer on and outside of the regular menu. For a family-friendly, fun place to catch a bite to eat, perhaps even partake on a house-made margarita, El Sol in Solon has what you’re looking for. 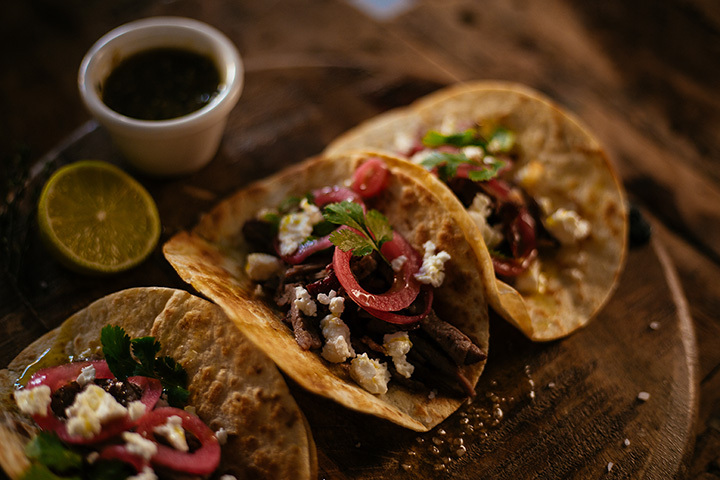 Featuring a full-length authentic menu brimming with tacos and much more, it can be hard to choose what to order the first time you visit the cozy confines of El Sol, making a second, third and fourth trip a must to this staple Mexican restaurant in Solon. Featuring old-fashioned Mexican cuisine, Nally’s Kitchen on Rockingham Road in Davenport has a pretty simple mission of providing fresher, better ingredients to a community they help create. That means at Nally’s, can you not only expect some of the best taste of Mexican cuisine in the state of Iowa, but the friendly environment and welcoming owners of the business hope that you can stay awhile and chat, and be part of the Nally’s Kitchen story as it continues in Davenport. Featuring authentic Mexican cuisine as well as north-of-the-border favorites with a Southwestern twist, Primo’s is an excellent stop on any Council Bluff’s visit. With loads of options including tantalizing specials, no trip to Primo’s is complete without partaking in one of their classic tacos. Whether you’re more of a hard shell or soft shell kind of person, Primo’s delivers with that high-quality taco taste you’re seeking. Whatever kind of taco you are craving, Taco Mariana’s in Des Moines has every option you can think of and many more. Whether you want something classic like beef or chicken, hard shell or not, or perhaps something a little more unique to fill your shell like beef tongue or adobada steak, regardless of what you get, you’ll be happy as soon as you take your first bite. Check out Taco Mariana’s on Wednesdays, and every taco you want it just a dollar, making this a high priority pit stop in Des Moines. Open seven days of the week on the corner of 6th and Pearl in Sioux City, Tacos El Guero is your one-stop shop for not only world-class tacos, but a whole variety of Mexican fare and cuisine. While Tacos El Guero is best represented by their tacos, whatever delicious entree item you decide upon for your next visit, whether it’s burritos or house-made soups, you’ll be sure to understand why Tacos El Guero is one of the best taco and Mexican restaurants in the state of Iowa.